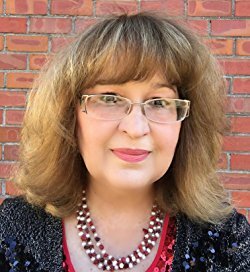 Carrie Fancett Pagels, award-winning author of sixteen Christian historical romances, honors us with her presence this week. Not only does Carrie hold a Ph.D., but her books include ECPA bestsellers. Carrie served twenty-five years as a psychologist, but the years failed to “cure” her overactive imagination. A self-professed “history geek,” she resides with her family in the Historic Triangle of Virginia. But she grew up as a “Yooper” in Michigan’s beautiful Upper Peninsula. 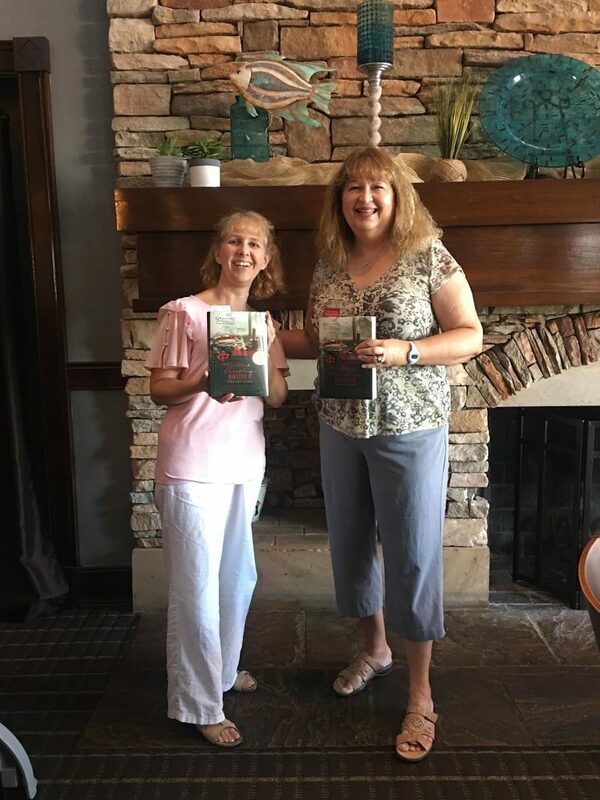 Carrie reads, bakes, beads, and travels – but not all at the same time! Meanwhile, Carrie’s giving away one of her books. So join the gab session below. I hail from Michigan’s beautiful Upper Peninsula, which qualifies me as a bona fide Yooper woman. I married the love of my life when I was almost thirty. Now, thirty years later, I have a 29-year-old lovely electrical engineer. And a 16-year-old creative techie junior in high school. I devoted 25 years as a psychologist to young people in many capacities. Then physicians diagnosed me with Rheumatoid Arthritis and other forms of arthritis. This arthritisended my career abruptly. As it turned out, God planned something else for me. Eight years ago, I nearly died from a biologic (to treat my severe RA). For about five years I barely walked. I endured numerous interventions, including surgery. But God gifted me with lots of stories. Now sixteen of my romances appear in print! And, Praise the Lord, I walk today. I joined in a multi-author ongoing Civil War series headed up by Murray Pura. 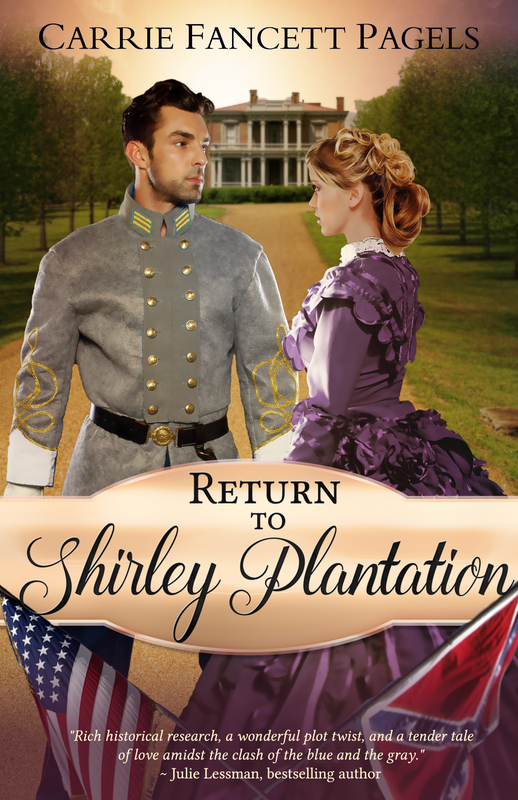 A small press released my first title, Return to Shirley Plantation. Later, my rights reverted back to me. The talented Roseanna White designed a new cover. My novella released this past late Spring. It’s now available in audiobook form. The staff of Shirley Plantation supported and blessed me. The owners permitted me to read some of their ancestors’ original letters. Also, I assisted with a tour of the upper part of the Great House, which isn’t included in the regular tours. I helped conduct a tour with the wonderful Julian Charity, Shirley Plantation’s historian, a real highlight for me. What’s Up With Carrie Fancett Pagels Now? Since then, I released fifteen more books, some Indie and others traditional publications. So I claim hybrid author status. My latest, a novella entitled “The Sugarplum Ladies,” appears in the The Victorian Christmas Brides Collection by Barbour Publishing. Currently, I am working on a women’s fiction novel, a change for me. When I joined ACFW (American Christian Fiction Writers) fourteen years ago, I wrote in this genre. I expect our current visits to colleges with our son will take me away from writing for a while. 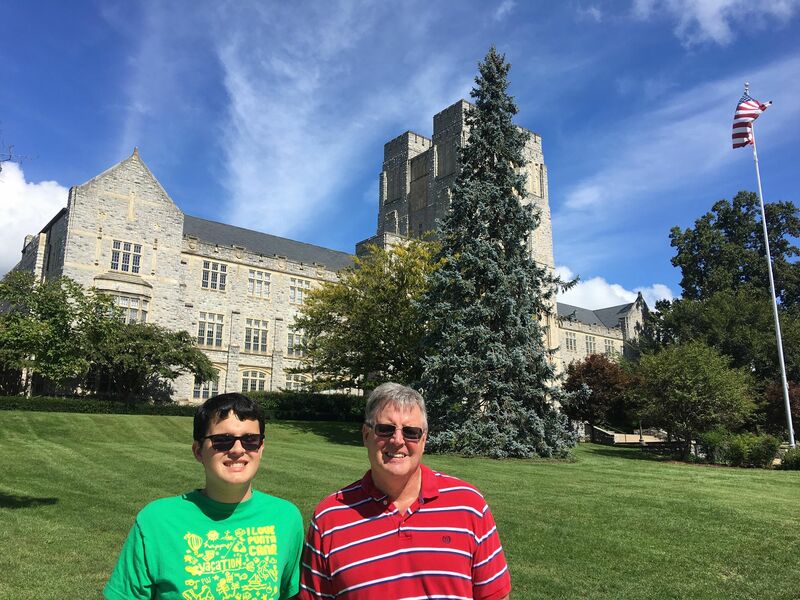 Recently, we visited two universities in Virginia. 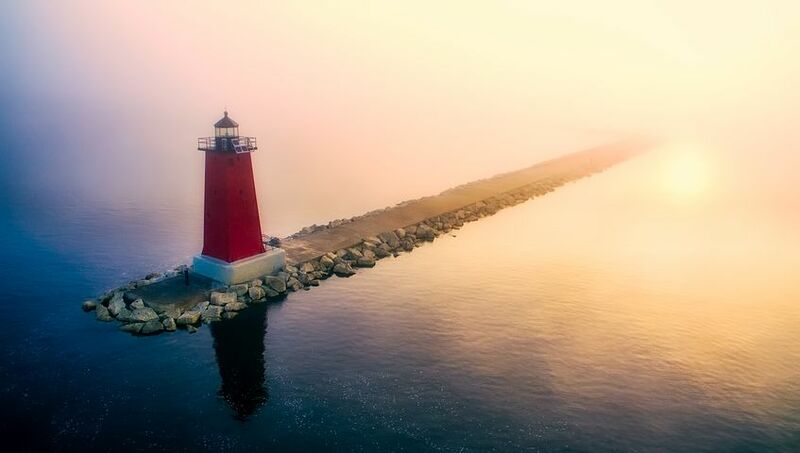 Along the Great Lakes, America’s inland seas, lighthouses played a vital role in the growth of our nation. They shepherded settlers traveling by water to places that had no roads. These beacons of light required constant tending even in remote and often dangerous places. Brave men and women battled the elements and loneliness to keep the lights shining. Their sacrifice moved goods and immigrants. Seven romances set between 1883 and 1911 bring hope to these lonely keepers and love to weary hearts. Canadian barrister Percy Gladstone’s aristocratic British family unexpectedly descends upon him for Christmas. So he relies on American social reformer Eugenie Mott and her fledgling catering crew for help. Generations of her mother’s family claim the Winds of Mackinac Inn. But Maude Welling’s father refuses to let her run it without the guidance of a husband. So she seeks to prove her worth and independence by working incognito as a maid at the Grand Hotel. Undercover journalist Ben Steffans poses as a wealthy industrialist. He pursues a story about impoverished men chasing heiresses at the famed hotel. While undercover, an intriguing maid catches his eye. By an act of heroism while digging deep for his story, Ben endears himself to the closed-mouthed islanders—including Maude. But scandal threatens, and truths are revealed. Will the growing love between Maude and Ben be scuttled? Father God, we declare You the Eternal Author of Love. First, You joined the original couple in the Garden. Then, Abraham and Sarah. And King Solomon penned his Song of Love. Today, Your children fall in love. And we look to the ultimate Love—the Groom and his Bride—at the heavenly Wedding Feast. You—Who are Love—provide the kindling. The flame. And the breath that keeps love burning. Now, please bless every word Carrie writes for You. I love Carrie’s writing. I look forward to reading the new books! Congratulations Carrie on your success in publishing so many stories. You are a generous encourager and friend. Hi, Janet. So good to see you. Thanks for stopping by. I enjoyed the interview! You’re so talented, Carrie, and write amazing stories. Blessed to be your friend and sister-in-Christ. Welcome, Anne! What an encouraging word! I hope you’ll be a returning guest. Wonderful interview! I love Carrie and her stories! Welcome, Caryl. Thank you for your encouragement. Thanks so much, Melissa! 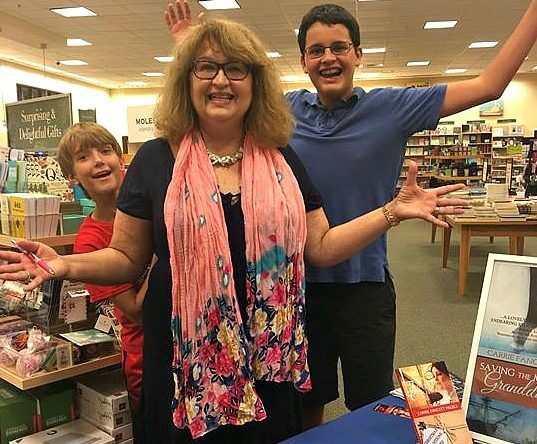 Congrats on your own debut in Christian fiction! Many blessings! You’re a super encourager, too! Hugs! Hi, Melissa. You’re an encourager too! Thank you for sharing about Carrie! One of these days I am going to Mackinac when she is there so I can have lunch with her! Looking forward to reading the two new collections. Hi ANNE! I’d love to be up in Mackinac and get to see you in person! I hope you’ll enjoy these two Michigan-set novellas of mine in these two collections! Blessings! Best of luck with all your writing endeavors. Hi, JJ. Love having you visit! Thanks for having me on your beautiful blog, Linda! I love how you do your set-up! Blessings! Love Carrie and her books! She is an amazing author! I really enjoyed reading this blog post and learning more about Carrie and her books. God certainly has blessed her. Welcome, Sherry! Thank you for joining us! I’ve read so much about the UP in Carrie’s books that I hope to visit the UP one day (during the summer, if course 😉). I love Carrie and her books (I’m not entering, I have all of Carrie’s books). Carrie is such a sweet and friend, I am honored to be one of her Pagels Pals. ….my post didn’t post, so trying again…. I’ve read so much about the UP in Carrie’s books that I hope to visit the UP one day (during the summer, if course 😉). I love Carrie and her books! (I’m not entering, I have all her books 😊). Carrie is such a sweet lady and friend, I’m honored to be one of her Pagels Pals. Hurrah for Pagel’s Pals!! Welcome and please come back! Great post! I’d love to visit the UP! I’ve seen photos and it looks like such a beautiful place. I’m looking to reading The Lighthouse Brides and The Victorian Christmas Brides. Hi Beverly! You would love a summer visit up North! Thanks for coming by! Hi, Beverly. I’m so glad you stopped by! I used to live in the UP. I’m excited to read some of these books. K have read the first love letters romance collection and loved your book in it. Hi Rita! Where did you live I. The UP? I didn’t contribute to a love letters collection. Blessings! Welcome, Rita. I love Texas, but I’d very much like to visit your neck of the woods. Please come again. I forgot to say, Please don’t enter me for the drawing. I have all of Carrie’s books. I love Carrie Pagels and I love her books! She writes such great stories. I am privileged to be one of her Pagel’s Pals. I hope to meet her in person one day. Hi Perrianne! I don’t have a Civil War series, but my debut (a novella) was with a small press who had a series going with multiple authors. I’m glad you enjoyed VCB! Blessings! I like the fact Youre from Michigan. I lived in the UP for a a few years when I was around 8. I can’t wait to start reading your books. Amen! What a fun blog post. Thanks MELISSA! It was fun to see this up! Blessings!